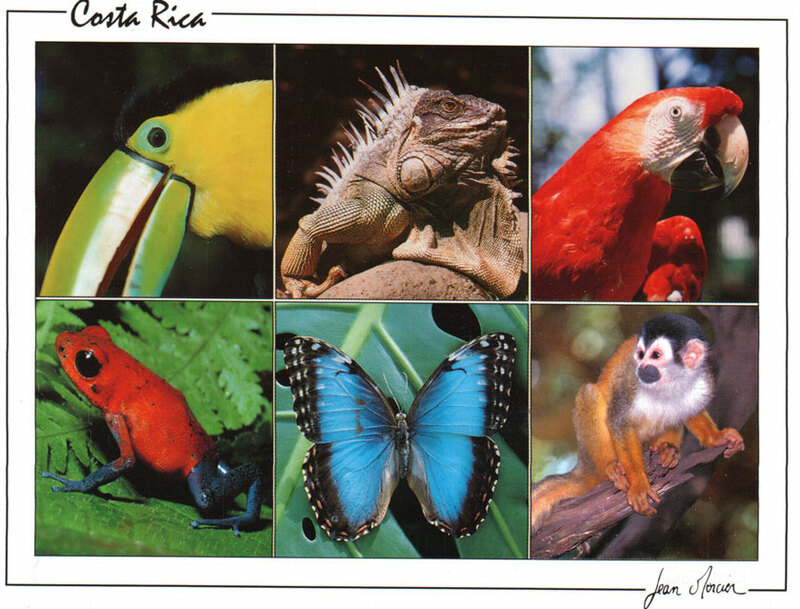 Postcard sent by my friend Ange, after returning from a trip to Costa Rica. Her postcard doesn’t actually talk about her trip (but I do know that she had a lovely time! ), but she does say to “consider this exotic greetings from balmy Costa Rica (and damp, chilly, suburban Guelph)!” If only they had adorable monkeys like the one on the front of this card in Guelph, eh Ange?